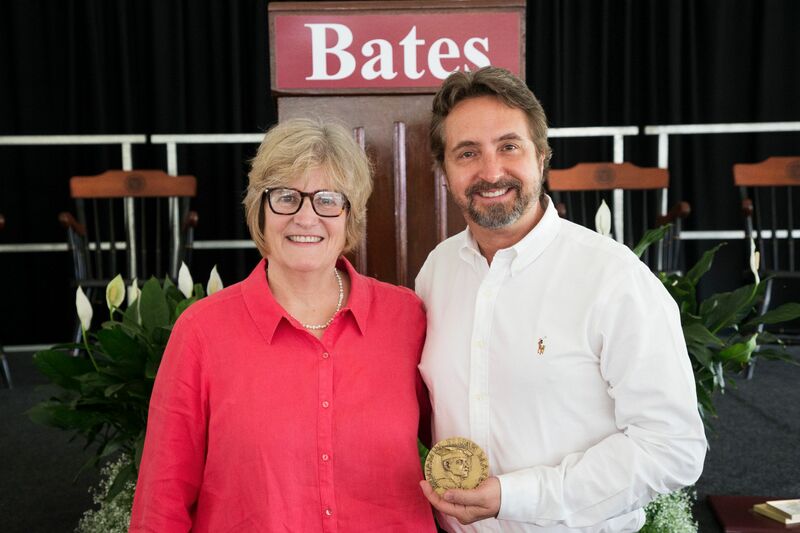 Two Bates alumni and two members of the faculty received awards during Reunion Weekend, including James Owens ’87, who received the Benjamin E. Mays Medal for his contributions to literacy around the world. Published in 2017, The World Is Just a Book Away weaves together the unique stories of 60 contributors — from Nobel laureates to actors, humanitarians, and many more — who at first glance have little in common. But as James skillfully demonstrates, these prominent people all share something important: Their lives have been influenced by a love of books and reading. It was during this passion project that James was inspired to not only write about the power of literacy, but also to physically deliver it to those who need it most…. In the nine years since its inception, The World Is Just a Book Away has built 90 libraries, three of which are mobile. At one site in Indonesia, books are delivered by horseback to 10 remote schools atop a volcano. This revolutionary approach is effecting meaningful change within some of the world’s most vulnerable communities. Louis’ remarkable work resulting in the discovery of a severe form of preeclampsia has been cited as one of the 10 most important publications in the field of obstetrics in the 20th century. He was a young doctor serving his fellowship in 1979 when Louis experienced his first pre-natal maternal death of a patient — an experience that would alter the course of his career…. Guided by the methods of scientific inquiry he learned at Bates, Louis sought to explore this often missed or misdiagnosed ailment. He spent the next two years studying similar cases and providing medical care to women exhibiting related symptoms. 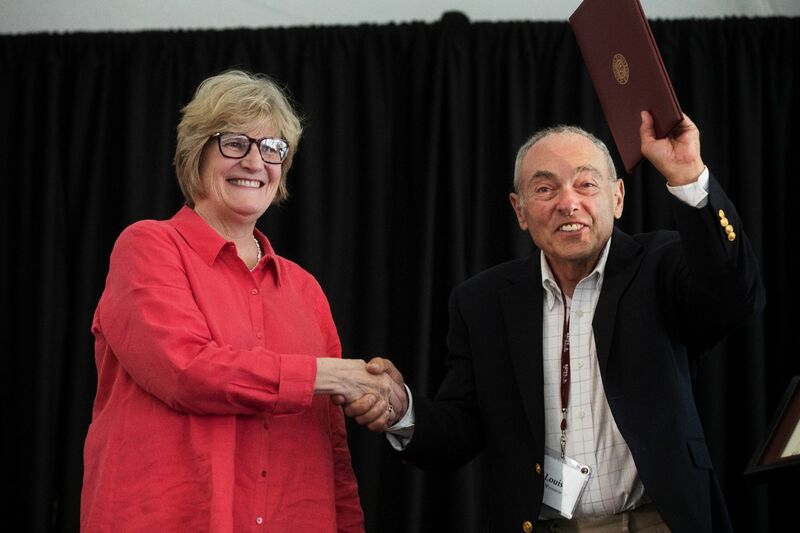 As an alumna noted, “She is an amazing teacher and role model.” Georgia is a developmental psychologist by training whose work inspires students to think about what they can bring to relationships with community partners, not just what they can get out of the relationship. She holds students to a high standard and engages them at the highest intellectual level. Students describe him as “a titan of the abstract and the concrete” and as a “wise sage.” “How stupid of me not to take more of his classes!” one exclaims. 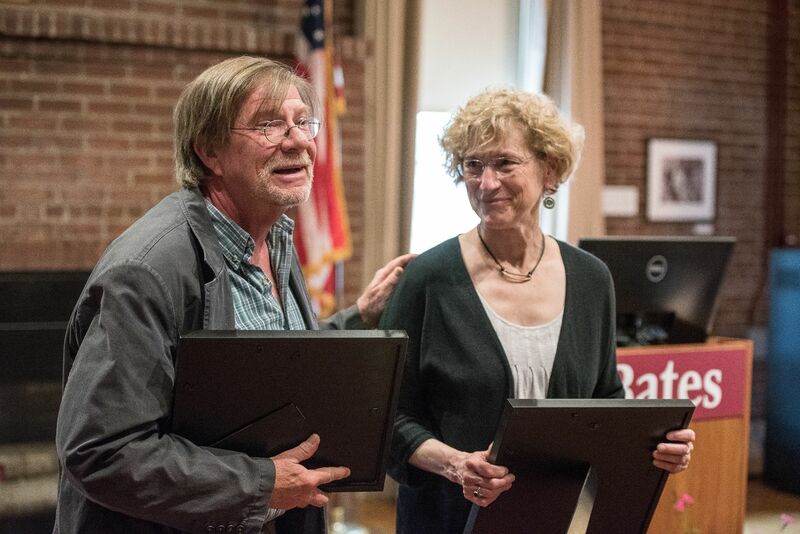 They speak of his brilliance and humility; his “faith in poetry and people;” his generosity as a reader of their work. “Professor Farnsworth…opened a door of joyful sound and allowed us all to walk freely through it,” as one remembers it.